For this month's focus on my word for 2014, I thought it would be a good challenge to pause and try new things. While I don't make New Year's resolutions, keep a bucket list, or have 40 things to try before I'm 40, I do like the sense of accomplishment when I push myself out of my comfort zone. I've been experimenting with making my own embellished 3"x4" cards for paper crafting projects and that's my first set pictured above. I'm also trying something new with a set of printable cards that I'll be sharing soon. I've really been meaning to give a go at making homemade pasta and even if it's just noodles and not filled pasta, that's fine by me. There isn't much that I haven't tried baking so I'd like to try my hand at French macaroons. My mouth is watering just thinking about them! Lastly, I told the hubs that I'd like a new camera for Christmas if I make it through 365 days of daily photos. (I'm over halfway there!) In the meantime I want to learn how to use his camera to see if that might be a direction I'd like to go. To be honest, I'm a little intimidated by the thought of it. So that's how I'll be focusing on my word this month. If you've selected a word, has it been factoring into your day to day? I love your layout, and your cards! Don't get disheartened about not making teams, there are tons of teams that I tried out for that I didn't get. You have to just keep trying, and I know you'll find the perfect team soon-you're very talented!!! your pl cards are awesome! I pinned them for inspiration later!!! your stuff rock, just keep trying! you will find your place in the world!!! Finding lots of inspiration from your layout. 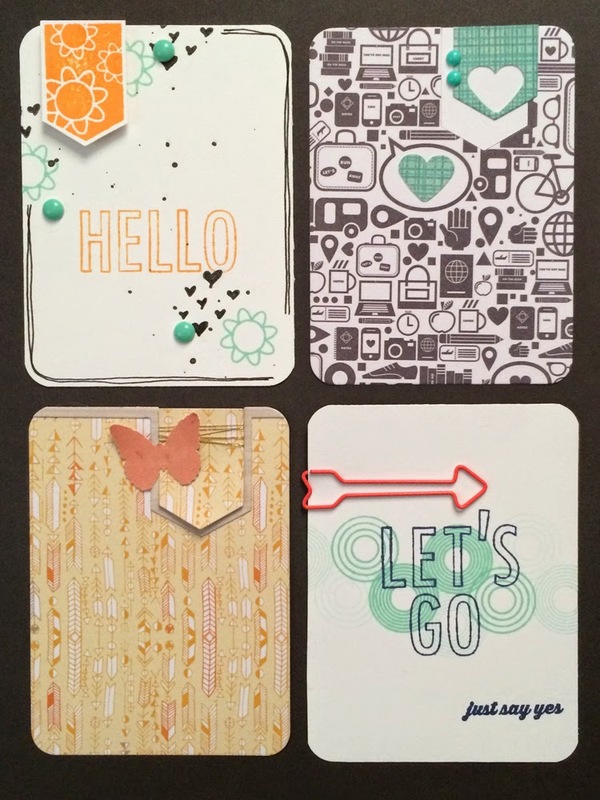 love the triangles with the underneath layer of the circle and additional enamel dots with ink doplets. Oh, yes, love it! I am sure you will find a spot on a DT! Your layout is lovely. I like how the photos pop off of the page. I too have a few crafty supplies that I can't get enough of. My hubby has 2 big boy cameras. I said I could have his older one, but like you, i am to intimidated. I will stick to my iPhone to take photos, lol. That is one of my fave layouts by you! The whole DT thing is a little exhausting to me. I stopped doing manufacturer "calls" because it was so much work and there are soooooo many people going out for them. But I say go for it! You don't know unless you try, right? And I love your embellished cards. Super cute! My word is FOCUS. And while I am not specifically creating with it in mind, I find myself using it as a reminder to well, focus. I tend to get sidetracked when getting tasks or chores done, but this word is helping me to work on that for sure! So glad that your word is never too far from your thoughts! Love the layout and the cards, both are so awesome. Don't get discouraged for submittal but first rule of thumb for publications is most don't want your submissions posted anywhere else so don't feel the need to share here first. As a person who had frequent pubs it does get frustrating but just know it's not that your work isn't creative sometimes it's just you didn't fit into what they are currently looking for. Go for the camera, your photography warrants a bigger and better camera. 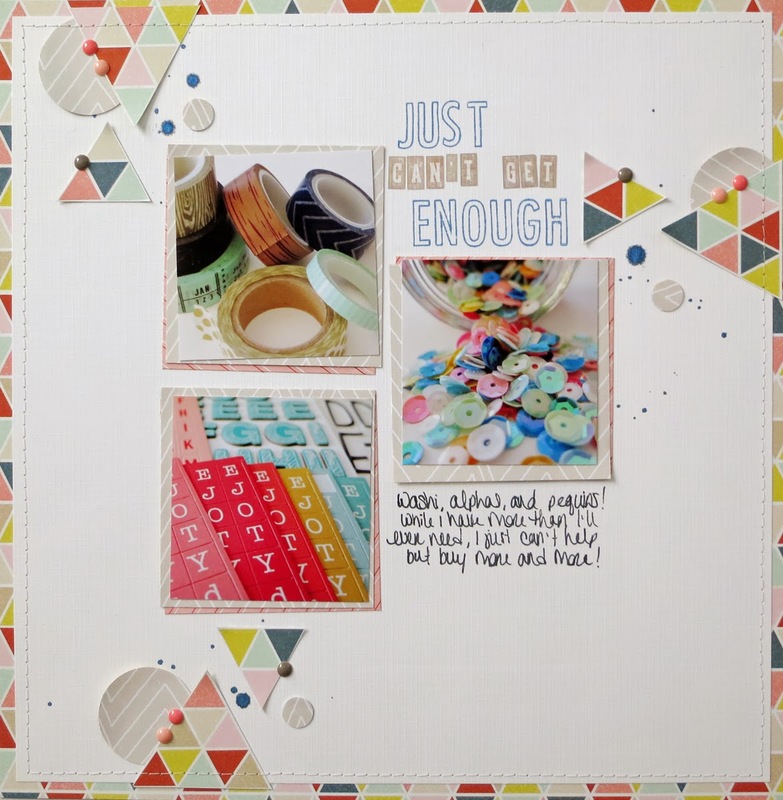 You're my favorite scrapbooker for PL... Even if PL is not my thing ! I'm always so very pelased to see your posts. I love all your tips and when you share your process ! You're truly talented ans I'm SURE you will make a DT very soon : they would be SO lucky to have you ! I would have picked you without any hesitation !